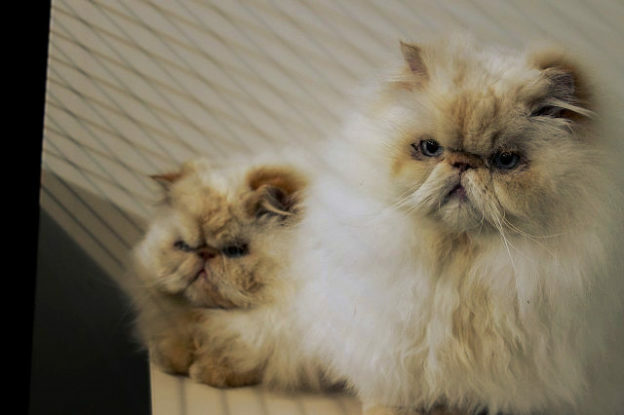 Arthur and Henry are about 10 years old and are red point Persian (Himalayan) brothers. They were surrendered to CPL because their owner is away a lot of the time and was unable to give them enough attention and keep up with their grooming. Arthur and Henry are friendly and placid. They love to be groomed, which is just as well since their coats take a lot to keep tidy! They are closely bonded so we would like them to be adopted as a pair, and they will best suit an owner with previous experience of the breed. Arthur has a fused elbow due to arthritis and needs ongoing medication.